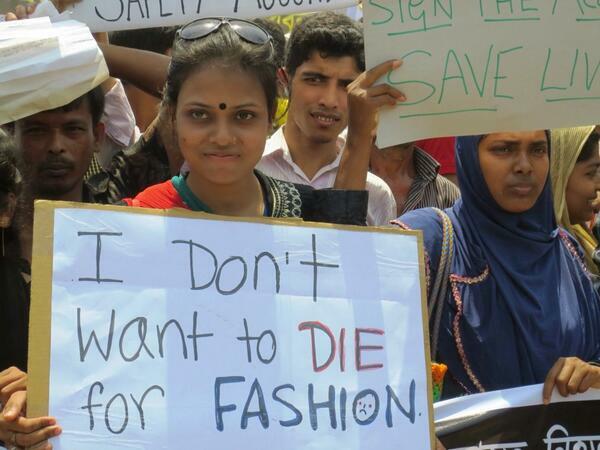 An Open Letter to UNC President Ross and Chancellor Folt: Commit to the Bangladesh Safety Accord | Listen Girlfriends! Hey Nadia! I’ve nominated you for the Very Inspiring Blogger Award because you just deserve it. I know your blog is huge but still I thought it would still be great to nominate you for your passion. Here is the page with the badge and nominations. This means SO much to me, thank you love!! It is an honor to be nominated. XOXO. How convenient is to focus on VF and accidentally omit Nike, which also did not sign the Accord but makes UNC millions every year in sponsorships? Forgetful or hypocritical? Thank you for your comment. I agree that Nike is lacking when it comes to its commitment to worker’s rights, and certainly groups like USAS have put pressure on the company in numerous campaigns. However, this was not the campaign to target Nike, for a few reasons. First, Nike got out of joining the Accord through a technicality-they were not producing clothing in Bangladesh at the time the agreement was gaining force. Second, the reason USAS didn’t go after Nike and fight that technicality more is also the simple reason that they have to be reasonable about campaign targets. VF not only has more factories making their apparel, but their contracts with schools are not so embedded in sports and thus, are easier to cut.